Home and Community-Based Services (HCBS) Medicaid waivers for children increase the availability of public funding for HCBS by waiving or expanding the means tests for parents’ income, basing child eligibility for Medicaid coverage primarily on clinical need. But many states provide mechanisms apart from HCBS waivers to increase coverage for youth with significant mental health needs. 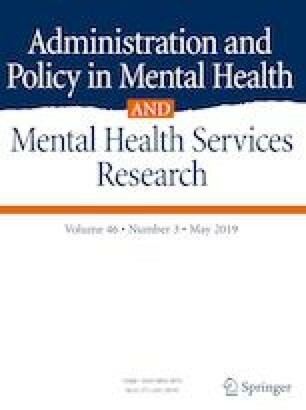 Through interviews with public mental health officials from 37 states, this study identifies and explains non-waiver funding strategies for HCBS services for otherwise ineligible youth. Results demonstrate that states expand Medicaid-eligibility through CHIP or use state general revenue funds to pay for medically necessary HCBS for non-Medicaid youth. The authors declare that they have no no conflict of interest.